"Before having Jeff work with our pup, we had a puppy who LOVED nipping and had no manners. NOW, we have a pleasant, well-mannered dog who is great around all people! Jeff helped us learn how to work with our puppy in the most effective ways. He helped us build a positive relationship with our pup and we could not be more pleased with Jeff’s training and his dedication." "Jeff is wonderful and very patient. I highly recommend him to anyone in need of a dog trainer. If he could train my little devils he can train any dog." "We adopted an American Bully who I thought would not be trainable. Jeff had this dog doing each task by the end of each hour every week. Not only that, our dog would get extremely excited when he rang the door bell because of the positive interaction. 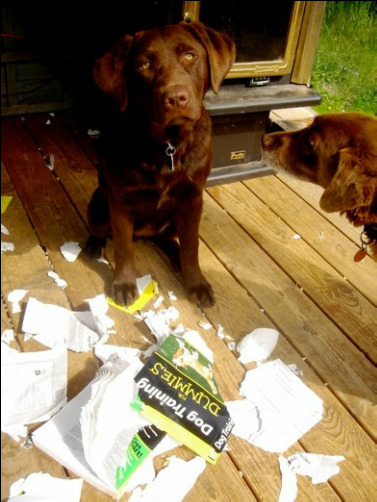 You could see the dog really enjoyed the training." "We started using Dentler's Dog Training after being at our wits end with our four year old terrier mix. She was a very skittish dog, barked about everything, constantly put her paws on the counter, and had severe anxious tendencies. We had 4 of 5 sessions with Jeff so far. Our dog has completely changed during these 4 sessions. I strongly recommend Dentler's Dog Training. Before we met with Jeff there were days we were unsure if we were cut out to be dog owners, now we know it all comes back to training and the right expectations. Thanks Jeff!" Upper Pottsgrove, Upper Providence, Warwick, Washington, West Pottsgrove, West Vincent, and more! “Dogs are not our whole life, but they make our lives whole."